Bancha is widely drunk in Japan with meals. 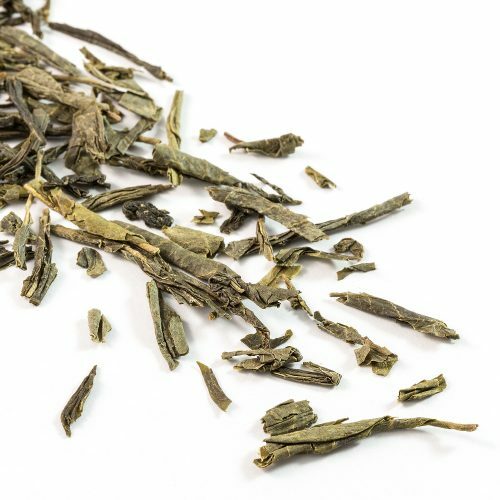 The tea is produced from the lower shoots and usually plucked later in the growing season and whilst being high in nutrients is low in caffeine and tannin. 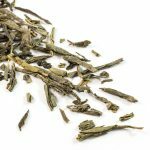 The tea has a light grassy taste which is soft and easy drinking. Kyushu is Japan’s southernmost island and its tea gardens thrive in the northern and southern regions. Kyushu Island was once considered the gateway into Japan from China and Korea. To the north of Kyushu lies one of the worlds largest volcanoes, Mount Aso-San, with a huge five peak caldera. Kyushu has been growing tea for centuries and has kept up with the times as far as their tea industry is concerned. From the fields, where the tea is planted the very precise rows allow for a high volume of mechanical harvesting machines to give a good even pluck, then the leaves are driven straight off to the shiny bright state of the art factories that process it, the tea industry is one of the most modern and efficient in the world. Because Kyushu is the southernmost tea producing region in Japan, spring arrives here first, meaning it provides the first spring teas of the season called shincha, this can be any tea harvested first from sencha to matcha.